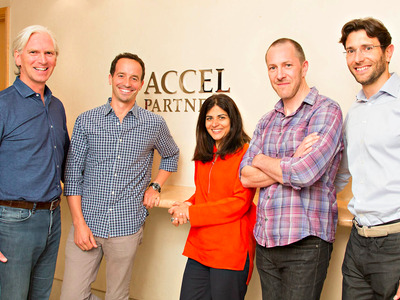 AccelAccel’s European investment team, with Blumberger second from the left. Accel Partners, a venture capital firm that has invested in Spotify, BlaBlaCar and DropBox, has hired a Facebook executive to find the most promising technology companies in Israel. Nir Blumberger, a corporate development executive at Facebook, will be leading investments in consumer and enterprise startups in the region on behalf of Accel, which has $9 billion (£6.17 billion) under management globally, with $2.5 billion (£1.7 billion) of that specifically for startups in Europe and Israel. Blumberger, who was born and raised in Israel, will be working with Accel’s London team, which raised a $500 million (£344 million) fund in April. Other London-based venture capitalists such as Index Ventures and Balderton Capital have also hired executives from US tech giants. Balderton, for example, hired Lars Fjeldsoe-Nielsen, Uber’s VP of mobile, last year.